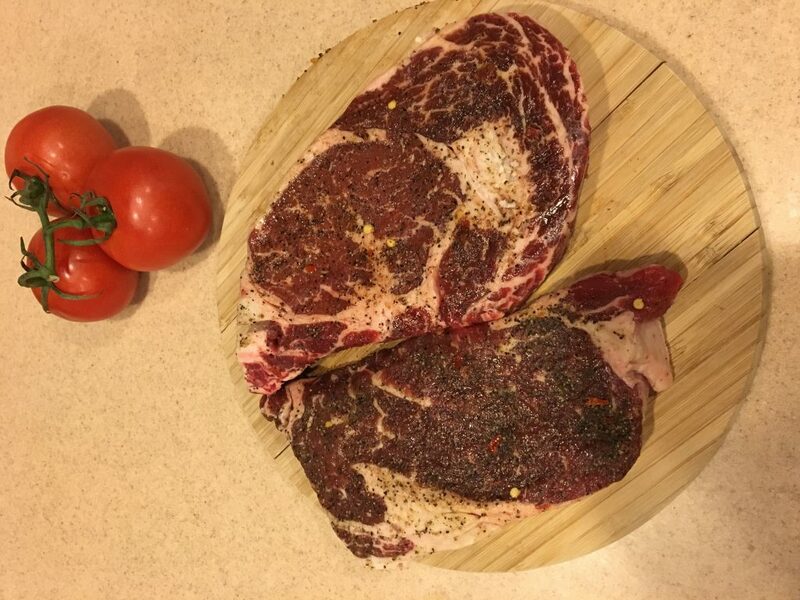 What are you having for the Big Game?! 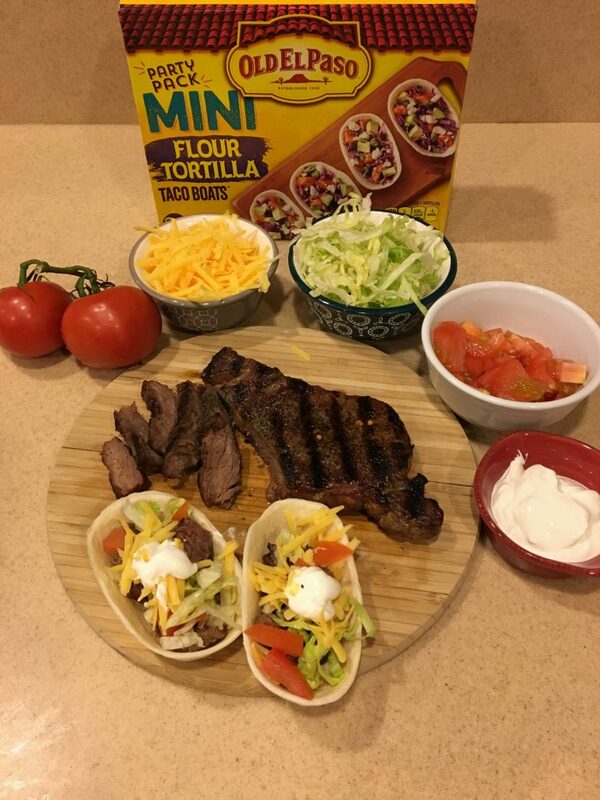 We made these absolutely delicious mini Steak Tacos using the Old El Paso Mini Flour Tortilla boats. So let me tell ya, I love my tacos, living in NM we have some GOOD tacos too. When I was over at Walmart a couple weeks ago, I saw these great little Old El Paso Taco Boats. My first thought with these Mini ones was that they are PERFECT for Game day!!! We had a party for the Play offs and these were a huge it! They are great for football fun. Or any party really, they are a great little appetizer and you can really put anything in these things (truth be told a good peanut butter and jelly flour taco boat is the BOMB!). We decided to take some sirloins that we had and season them up, grill them and make little mini steak tacos. Then grill that steak up!! We did the little Old El Paso Taco mini boats, some freshly shredded sharp cheddar cheese, shredded lettuce, tomatoes and sour cream. 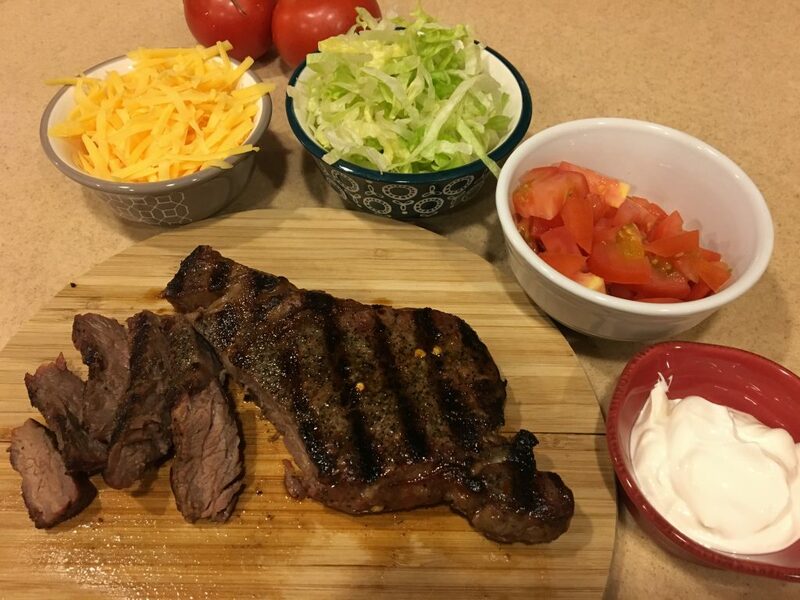 Slice up that steak into little pieces and make your tacos! This is great for a taco bar or if you want to pre-make them and use them for appetizers at a party. I loved every bite of these. SO GOOD!!! So many options! We snagged some of the hard shell taco boats too and they are tasty!